Inspiration for black stone earrings comes from city of Ravenna. 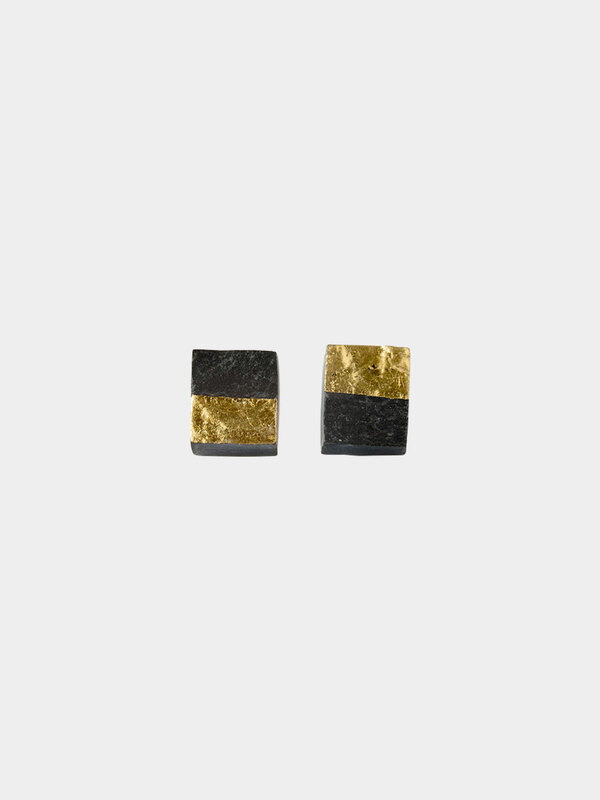 Main material for stud earrings is limestone and yellow gold/white gold leaves. Natural materials are mixed with geometrical forms and fine lines, leaving overall impression of modern and yet classical earrings. Simplicity at its best! bellaOpera are Alja Fir and Anja Tomažič. They met in a quarry while studying Design in stone and decided to create their own brand. Both are attracted to a broader field of design, arts & crafts and everything that can be handmade. They enjoy getting to know the material, learning new techniques or simply doing something that combines the perfected-through-time feeling with a modern twist. Inspiration for black stone earrings comes from city of Ravenna. 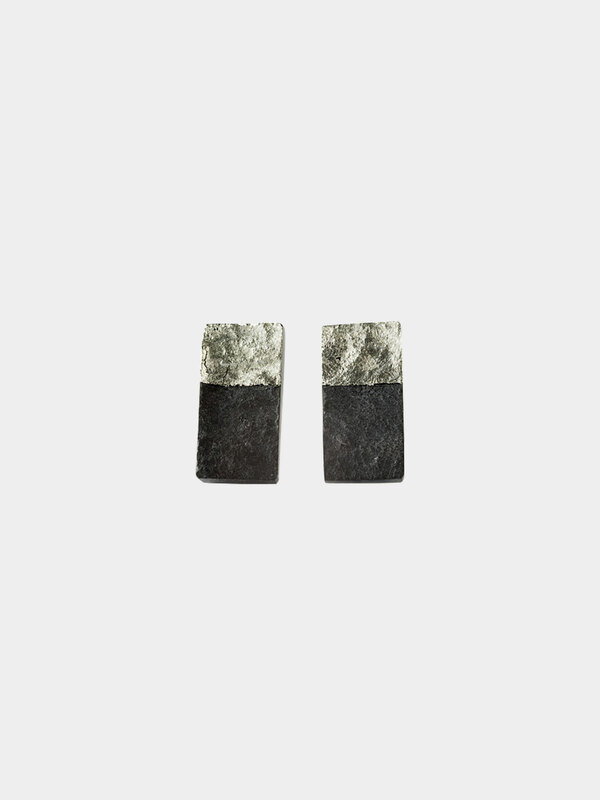 Main material for stud earrings is limestone and yellow gold/white gold leaves. Natural materials are mixed with geometrical forms and fine lines, leaving overall impression of modern and yet classical earrings. Studs are made from nickel free surgical steel. To provide premium care take them off while showering, sports, sleeping and while applying cosmetics. Gilded with 23,5 carat yellow gold or 12,5 carat white gold.